This article, “Bodies of Water,” by Allison Coffelt is an adapted excerpt from her book, Maps Are Lines We Draw: A Road Trip through Haiti, forthcoming by Lanternfish Press, 2018. Dr. Gardy and I have switched to Highway 1 for the second leg of our trip. His clinic, OSAPO (Organizasyon Sante Popilè) is about 60 miles north of Port-au-Prince, Haiti. We’ll follow the coast up the Western side of Hispañola island and cut to backroads at the small town of Montrois, passing through the Artibonite Valley. The whole thing will take three hours. I am in Haiti after a decade of not going; after a decade of activism and learning and fundraising; after thinking I didn’t need to go to understand this place’s pull on me. Haiti was first to teach me, on some guttural level, about distance and the ways in which we construct a sense of here that counters there. I started reading about Haiti at 15; I was curious and malleable. These lessons could have come from anywhere, really, but Haiti was just far enough away to see them clearly. It’s harder, sometimes, to recognize what’s in front of you. Still, I wouldn’t go. Not until I understood I needed to experience Haiti not via page or screen, but through my skin. Through the thin wall that separates me from the world out there. The definition of body of water is broader than I first thought. I knew oceans, seas, and lakes, but it can also be ponds, swamps, or even puddles. Running water counts, too. My here, in the middle of my home country, appreciates these expansive qualifications. I am nowhere near a beach, but surrounded by bodies of water. The human body is sixty percent water. For a while, the route Gardy and I take runs almost parallel to the Artibonite River, which supplies much of Haiti’s 150-square-mile central plateau with water. We’re miles from this current; we can’t see it, but I can feel its presence. Thirty-three months ago the cholera outbreak began on the central plateau in Mirebalais and met the Artibonite, its deltas, streams, and watershed. I will meet a patient in a few days who presents with bloody stools. He is 69 and does not have cholera. He will lean over his lap, elbows on knees and an oversized plaid shirt hanging from his frame, as he speaks with a clinic doctor. I will notice his puffy right eye and later learn this is a symptom of Chagas disease. Chagas, unlike cholera, is caused because you’re poor. Chagas, like malaria, is transmitted by an insect bite, though not from a mosquito. This bug thrives in walls made of mud or thatch or straw—the only kind most poor, rural people in Haiti can afford. This nocturnal insect, triatomine, bites and ingests your blood and defecates. If you scratch the bite and then itch your face or rub your eye while sleeping, the Chagas t. cruzi parasite from the feces enters your body and lies dormant. Cholera, on the other hand, does not lie dormant, waiting to flare up. It does not lurk in the background and come out at night. The disease comes from one specific strand, vibrio cholerae, and it either exists and is a problem, or doesn’t and isn’t. Once introduced, cholera is made worse by poor infrastructure and water systems. But, unlike Chagas, being poor and having mud walls does not cause cholera. Before 2011, not a single case of cholera had been found in Haiti for over a hundred years. I ask Gardy if OSAPO has been treating a lot of cholera. They have a whole tent, he says. After the 2010 earthquake when the UN set up a base near the banks of the Artibonite, they hired the cheapest company they could find, SANCO, to handle septic waste. Jonathon Katz, the AP reporter who traced the cholera outbreak to Mirebalais interviewed a man who lived next to the UN base. The man had watched the septic trucks dump waste into the pools of water by his house. Katz also found a broken PVC pipe leading from the back of the base into the Artibonite River. A death that renders an individual a product—made by the market. A market that rises or floods or dips—moves, in other words, like water. A death that strips individuality and is, without doubt, preventable. Cholera only stops when it’s treated as a crisis, an epidemic, a wave. OSAPO’s cholera tent has two rows of narrow beds lining each side with an aisle down the middle, infirmary style. There is a UN seal stamped on the front. A UN issued tent for a UN issued disease. I hear people talk about flow with longing. They want to make things flow or find their flow. What they mean is a smooth transition, like water pouring from a vessel, assuming the shape of its new home. This attraction to an ease of movement says something about our desire for less resistance. We are, it seems, on some basic level, most at peace with fewer barriers between the self and that which is beyond. To get clean water where I’m from, I walk to the faucet. Unless of course I walk to the faucet, and it’s not clean, which does happen in the country of my here. When it does, I am alarmed—my trust and health forsaken. And my standard, which defines my sense of here, is challenged. Back at the birthing home I visited before I met Gardy, a community health worker was teaching people how to clean their water. Her job is especially important now, post-cholera. Put the pills in it, she would say, and wait fifteen minutes. Fifteen minutes, she would say, is a good amount. It’s the amount it takes for you to walk from here to the road. The man at OSAPO who walked “only” a few miles in his black rubber sandals for the Chagas diagnosis should be fine, the doctor says. The medicine will clear it up, at least until the next bug bites him. With little or no immunity to cholera, you can die within a handful of hours. Water is 70% of the brain, 80% percent of the lungs, and 90% of blood plasma. I remember learning about water in the human body as a child: a Magic School Bus drawing of a body outlined, and water past its midpoint, like a half-filled cup. I was a walking glass of water, and if I turned upside down, it would all rush to my head. Some illnesses look pretty, even beautiful, under the microscope. Take Chagas, swimming like a snap pea in a pool of purple dye. Cholera is not one of these illnesses. It’s a collection of furry, stubby worms clumping together, demolishing the insides. When vibrio cholerae appeared in October 2010, Haiti was still sifting through earthquake wreckage from nine months before. The disease broke through like a hole in a dam, first one place, then another, and then it came as a swell. Cholera is a fast loss of liquid; the body dumps itself out. Severe diarrhea, vomiting, inability to hold down more fluid. After the first case, it’s a race: you need filters or water cleaning packets; no raw vegetables if you don’t know who washed them and with what. Be on constant alert. The strain of vibrio cholerae that ran into the Artibonite was eventually matched to an outbreak in Kathmandu. As it turns out, the peacekeepers in Mirebalais were Nepalese. They had medical tests done once three months before departure per UN protocol. But this protocol did not involve a cholera test despite the here from where they came. And despite that in their soon-to-be there were people without a shred of immunity. The cholera tests would have cost $2.54 per peacekeeper, a recent Yale study showed. Plus an additional dollar per person for preventative medicine. Along Highway 1, blues of sky and sea compete for brilliance. They come in glimpses through Gardy’s window. Seven months after the cholera outbreak of 2010, the UN finally issued a report. It traced the outbreak’s origin and spread, but excluded medical information from the soldiers, thereby denying responsibility. It claimed a “confluence of circumstances… was not the fault of, or deliberate action of a group or individual,” reports Katz. This, after not testing. This, after hiring the cheapest contractor to build the worst waste water treatment system. This, denying involvement while simultaneously testing the base that leaked the disease. A confluence—that word we use when bodies of water collide. As if inevitable. Owning the mistake would have meant liability, which would have required money and action. Admission of impact smudges the line between here and there. In this, the fastest and largest spread of cholera in the world, over 10,000 people have died and almost a million people have fallen ill.
Two months later, the floods came. Hurricane Matthew: wind and water ripped across the island; this waterborne illness in its wake. When the UN finally apologized for its role, the Secretary General called for $400 million dollars and a new approach. As of mid 2017, they have raised two percent. Allison Coffelt lives and writes in Columbia, Missouri. Her work has appeared in the Los Angeles Review of Books, Hippocampus, Crab Orchard Review, and elsewhere. 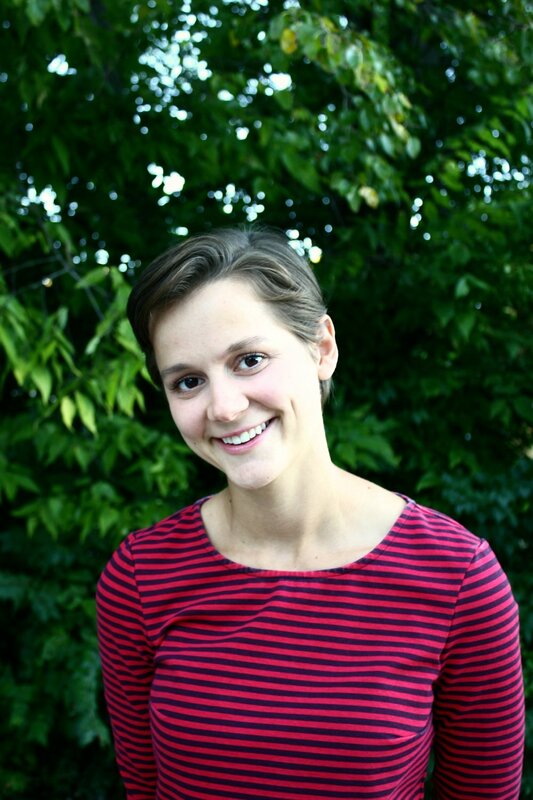 She works for True/False, a nonfiction film fest, and holds a Master’s in creative nonfiction. This essay is from her first book, Maps Are Lines We Draw: A Road Trip through Haiti (Lanternfish Press, 2018).